For years the velvet bass voice of actor/spokesman, Dennis Haysbert the spokesman for Allstate Insurance has been telling us "you're in good hands." Allstate recently began airing ads where Mr. Haysbert informs us mayhem is out there and sooner or later we will all encounter it. I, for one do not believe in jinxes or bad luck, I do however believe in each life some rain will fall. Ergo at some point we will all encounter mayhem. When mayhem strikes here in Chicago, to whom do we turn? 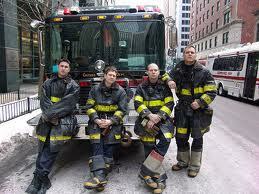 I would contend in many circumstances, it's to the men and women of the Chicago Fire Department. I must inform you at this point, I was once a member of this department. I write this now from the perspective of being retired and looking in as a citizen of Chicago. All members of the Chicago Fire Department are dedicated to their mission statement and motto, "We're there when you need us." Chicago's fire houses are manned 24 hours a day, 7 days a week, 365 days a year. They are manned by our fellow citizens, men and women who dedicate themselves to being masters of mayhem. For 24 hours two to three times a week these men and women step out of their roles as mom or dad, sister or brother, son or daughter, neighbor to be there when we need them. Their job takes an immense amount of training in many diverse subjects and skills and requires much determination. From"my husband collapsed and is not breathing" to "please come my cat is stuck in the drain pipe;" and to the myriad of circumstances that though too numerable to mention comprise the middle of that spectrum, they respond. When we take time to think of what mayhem could occur in a city the size of Chicago, I'm sure we'd agree it would boggle the mind. On a daily basis these men and women prepare, plan, train, and drill to handle it all. From the majesty of our skyline to the subterranean deep tunnel to the emergency medical needs of our citizens they stay ready to respond. Being a member of a fire service requires a dedication to the fact their job means they can't walk away. These men and women must always keep in mind that one mistake on their part could mean the life of a citizen, their own or a co-worker. It's a stress they laugh off, yet it is always omnipresent. There are many situations that seem the same, look the same, but these civil servants know there is no such thing as routine. 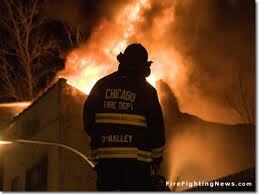 That fact was brought painfully home to the men and women of the Chicago Fire Department this summer. 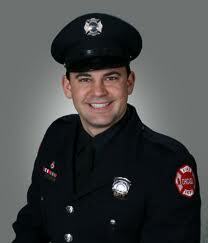 They lost one of their own, Firefighter/Paramedic, Chris Wheatley at what was supposed to be a minor kitchen fire. A fire in the grease shoot of a restaurant. In the face of a loss so profound these people find the strength to recommit to each other. They carry on in the memory of their comrade who died doing the job they love and have dedicated their lives to. They take pride in their service to their fellow citizens. They shy away from titles bestowed upon them, like hero. They are aware what they do requires a team and in team, there is no I. In Chicago we can all rest easy knowing these men and women are always on duty. We truly are in good hands with these masters of mayhem on guard. I have written this blog from a Chicago perspective, but it should not fail to be said dedicated men and women such as these, populate every fire service throughout the world! In any language, in any country, city, town or suburb, men and women of fire services take pride in the old adage, when everyone else is running out they are headed in. Mike, Excellent and personal piece! very well written. Truly expressed your appreciation of the career you had. We are proud of you, and are happy knowing that each day you spent with your other family( CFD family ) when you're away from us made a difference in somebody's lives.